Our extendable selfie stick is available in three vibrant colours with built-in Bluetooth so it can be paired with any mobile phone to simply start snapping. 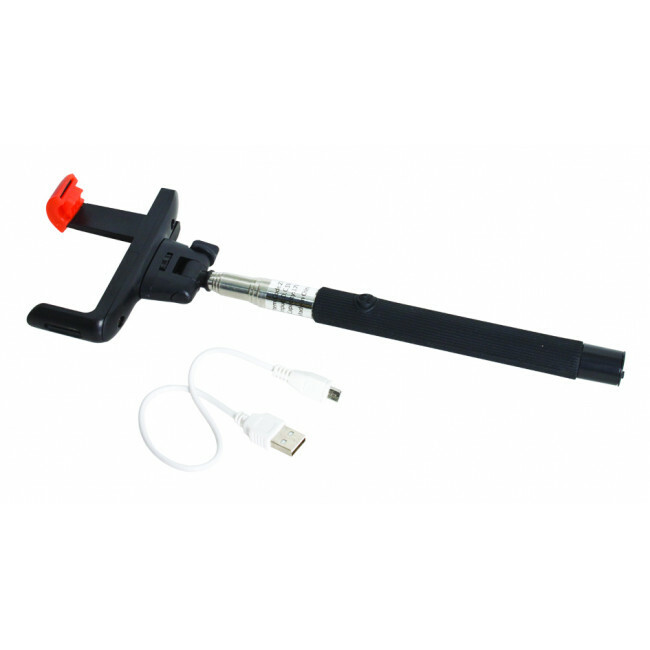 Extendable Selfie Stick with built in Bluetooth. Our Selfie Sticks are plastic with a metal extendable pole.